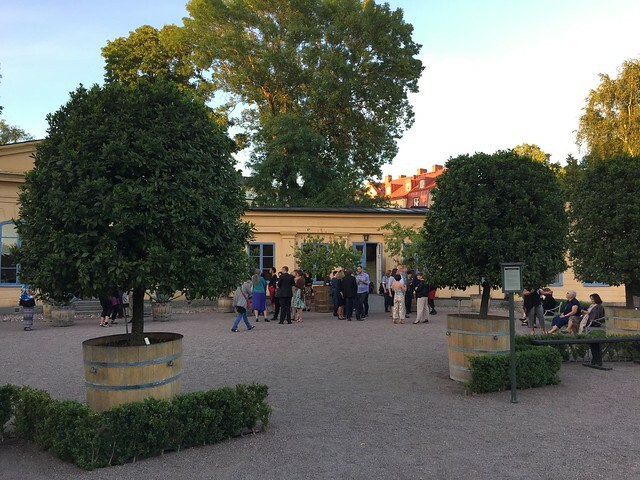 I just returned from CoLIS 9 in Uppsala. Have a look at the conference program to get an idea of who was there and the the types of papers and panels that were presented. My paper's abstract is below, and the conference proceedings will soon be published in Information Research. Introduction: Ethnography has become popular in library and information science, though researchers seldom describe their methodology clearly. Ethnography is also described as a metatheory and a methodology. However, ethnography is best understood as a methodology, which inherits ontological assumptions from the metatheory with which it is being used. Theoretical argument: Metatheory is similar to one of Thomas Kuhn’s meanings of paradigm. Paradigms share common ontological stances. Ethnography is not a metatheory but a methodology because ethnographic methods-as-tools, such as interviewing and participant observation, can be used with different paradigms. Analysis: In library and information science, each of the four main metatheories (scientific, critical, constructivist, and postmodern) is associated with different types of ethnography based on shared worldview or ontological assumptions. Ethnographic methods-as-tools can be used in different types of ethnography and are often adapted to reflect a study’s ontological assumptions, as illustrated in information research examples. Conclusion: Information researchers should explicitly articulate their ontological stance and theoretical paradigm and explain how their methodological choices, including the use of ethnography, are consistent with their stance and paradigm. This would help eliminate confusion about whether ethnography is a metatheory or methodology and improve the alignment of theory to method of ethnographic research.